Melbourne has a variety of cheap places to eat out without breaking the bank, and cheap enough where you can feel like a king's ransom for lunch; still spend no more than $15 (in many cases) and not feel like any dinner at all. This is what I call cheap eats. Sure thing, some of the eating out places can cost the earth, and the great thing is that healthy food is now more accessible to all: and I do not mean KFC or McDonald's, even though these places are cheap eats as well. I mean quality restaurants, where with many of these establishments "cash only" is their policy, so therefore you will be giving your wallet and your credit cards a bit of a holiday too. Amen to that. 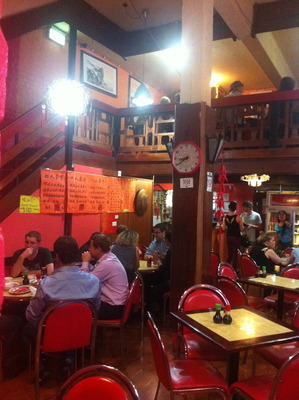 If you love yum cha, and you love eating your dumplings, then Shanghai Village at Little Bourke Street is the way to go. 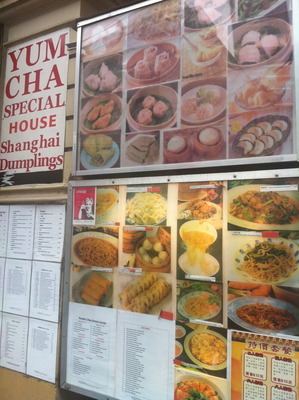 This is a cash only establishment, and the variety of dumplings are just amazing. The service is okay, yet the food is delicious and well priced. Enjoy a taster of around three different dumpling plates of around 3-4 dumplings each, and you would have only spent around $15-20. A word of warning: this establishment does get busy, and within good reason too. If pasta is more of your thing, then head to Mamma Vittoria's at Fitzroy, and for around $10 a pop for pasta, expect to be extremely full. Serving sizes are generous, and their staff are rather generous in nature too. If you love eating healthy vegetarian food cooked with love and care, and you do not mind eating with strangers; then Crossways at Swanston Street in the city is your go to destination. It does get crowded here, well it is all you can eat vegetarian food from Monday's to Saturday's at $6.50 a pop with dessert and drinks (cordial or water) included. Otherwise, for a "pay what you feel the meal is worth experience" for quality vegetarian food such as their veggie burgers, then Lentil as Anything at St Kilda is your mother for lunch. Many Melburnians come here when their credit card is either at or nearing their limits, or it's rent time. The business advises that $10 a meal would be preferred to keep the business afloat, however you are still free to pay what you feel the meal is worth. Why cook at home when you can eat out in great (and sometimes simple) ambience so cheaply? Yes cheap in Melbourne is great, and the city that is ranked as "the world's most liveable city" has great cheap eat establishments to boot. Bon appetit. Just followed your link to Mamma Vittoria's and all pasta dishes are $17 - $21. Only starters are around $10. Some good cheap places include Don Don and Peko Peko in South Melbourne, where meals are $6.70 - $12.50 for very generous sized portions. Mamma vittoria's menu sounds divine, but pasta prices are $18-32 dollars!! Generally great article though. Thank you.